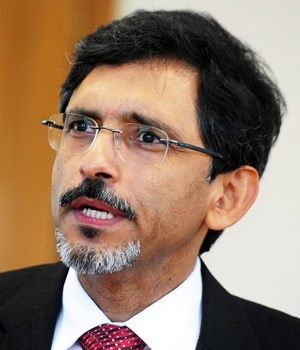 Cape Town - Of the Economic Development Department’s R1.1bn budget this year, R282m will be allocated to the under-resourced Competition Commission, Minister of Economic Development Ebrahim Patel said on Tursday. Patel was tabling the budget vote in Parliament, and also spoke about the progress made by the department. This includes the Competition Commission’s role in probing abuse of dominance in sectors including pharmaceuticals, ports, railways and school uniforms. Patel said R282m would be allocated to the commission so that it can continue doing its work to “open the economy for all”. Competition authorities are expected to investigate 100 cases of cartels, consider 400 projected mergers and take on two additional cases of abuse of market dominance. “I expect to receive and table in Parliament this year, the outcome of three very significant market inquiries into private healthcare, grocery retail - which includes shopping malls and spaza shops - and communication data costs,” said Patel. In April Competition Commissioner Tembinkosi Bonakele told Parliament’s portfolio committee on economic development that the commission would have to scale back on cartel investigations due to its strained financial resources. Affected cartel investigations into sectors included automotive component manufacturers, set top box service providers, manufacturers of edible fats and oils, as well as fresh produce and beef producers. Elsie Coleman, chairperson of the portfolio committee on economic development, spoke during the debate following Patel’s address and emphasised that the Competition Commission must be supported in its role to ensure an environment for small businesses in South Africa to compete. Coleman noted that the commission is facing resource challenges, and said the market inquiries it conducts are useful to unearth unethical and uncompetitive behaviour. She called for the minister to work with National Treasury to improve allocations over the medium term. During his address, Patel spoke on the significance of the draft Competition Amendment Bill which was gazetted for public comment in December last year. He described it as a major reform to the 20-year-old Competition Act. More than 60 submissions for proposed changes were submitted. The bill is intended to address high levels of economic concentration that excludes small businesses and black South Africans from the mainstream economy, Patel said. The bill also deals with practices by dominant firms which lead to excessive pricing, price discrimination against smaller players and “other abusive and anti-competitive practices”, he said. The bill is expected to be finalised this year.